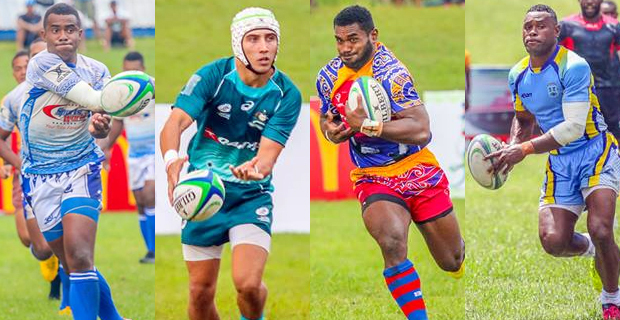 Defending champions Police, Australian Development, Tabadamu and Ratu Filise have each booked themselves a place in the semifinals of the McDonald’s Fiji Coral Coast 7s. Police defeated Coastal Brothers 12-7 in their quarterfinal match showing great defence in the first half to keep Coastal Brothers scoreless. Mosese Baravilala scored for Police in the first half. Police also scored a try in the second half through Filipe Sauturaga while Coastal Brothers managed to get a point on the board from Peni Kurusiga. Australian Development defeated Sigatoka River Safari Henibua 17-5 in their quarterfinal match, with tries coming from Simon Kennewell, Josh Coward and Mathew Hood. Sigatoka’s try came from Josateki Degei. Manueli Laqai, Samu Bale, Abele Atunaisa and Semisi Taseve scored Tabadamu’s tries. Stars USA’s Sevuloni Tawake scored their only try. Ratu Filise defeated First Light Taveuni 17-12 with tries from Ratu Filise coming from Sovita Nagatagata, Ro Vio Batibasaga and Kaliveti Cavukai. First Light Taveuni’s tries came from Tevita Daugunu and Wilisoni Lovokuru. You can catch the live commentaries of semifinals from 2.50pm and final from 5pm today on our sister station Viti FM 92.2FM, 92FM and 92.6FM.